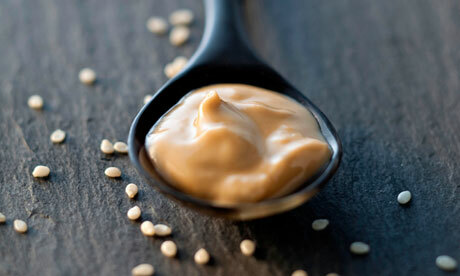 Raw organic tahini is a paste made out of ground, hulled (de-shelled) sesame seeds. It is a staple food in many Middle Eastern countries and a basic ingredient in traditional dishes such as hummus. Tahini provides high levels of both omega 3 and omega 6 fatty acids – in the optimum ratio necessary to promote health. These fatty acids are vital for our brain and heart health, as well as having important anti-inflammatory qualities. It is a good source of easily digestible protein – perfect for those with digestive issues. Tahini contains many vitamins and minerals – including calcium for bone strength and immune health and B vitamins for energy production and an efficient metabolism. Use to make hummus, as well as dips and salad dressings. May also be added to smoothies to boost protein and nutrient content.